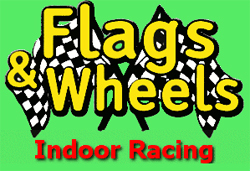 Flags and wheels is the only indoor cart racing facility in Rapid City and the surrounding Black Hills area. F&W is housed in a huge 47,000 sq. foot building near downtown Rapid City. If you love the speed and the feel of the swift air as you drive then you will surely love the wheels we have. We offer European style racing karts, Go Carts, Paintball, Lazer Tag, Bumper Cars, Slot Cars, Batting Cages, and Arcade for complete family fun. Other Specials & Coupons To view Flags & Wheels Indoor Racing Special Offers, other Specials and Coupons, go to their special page by clicking here. Flags & Wheels Indoor Racing updates this page throughout the year, so check back to see if new specials and coupons have come in. Note to our visitors Flags & Wheels Indoor Racing coupons and specials can change without notice. So please visit their official website to make sure of the latest pricing and coupons.